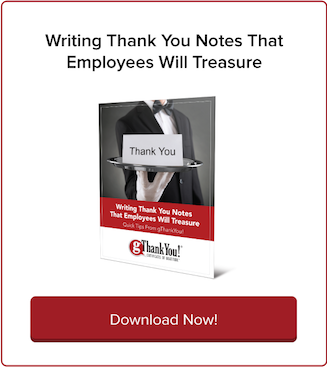 Helpful Tips for Last-Minute Employee Holiday Gift Givers | gThankYou! Need last-minute employee holiday gifts? Don’t stress! We’ve got tips that’ll make your gift-giving easy, meaningful and appreciated. Now that it’s mid-December, we’re counting down the holiday season in days, not weeks. Time is of the essence, and even the slightest planning ahead steers clear of holiday gifts that are obviously rushed, thoughtless or generic. USA Today recently cited a Consumer Reports study of gift-giving in the workplace. A whopping 30 percent of people agree that coworkers and bosses give the worst holiday gifts. Yikes! Don’t use procrastination as an excuse to add to that statistic. Take a deep breath and follow these steps for sharing great employee holiday gifts at the last-minute (without letting it show). Step one is not a trip to the nearest store or website to place an order. Your first step is to reflect on gratitude. When last-minute gifts fail, it’s because harried gift-givers skipped this step and went straight to the buying, wrapping and giving. Big mistake. When you skip the “why” of gift-giving and focus only on “how,” it can result in inappropriate gifts and forgotten or impersonal thank-you cards. Don’t be careless about gratitude. Give it time. Put on some gratitude-themed music to loosen up and get in the mood. A recent study suggests music increases empathy and connects us to others. 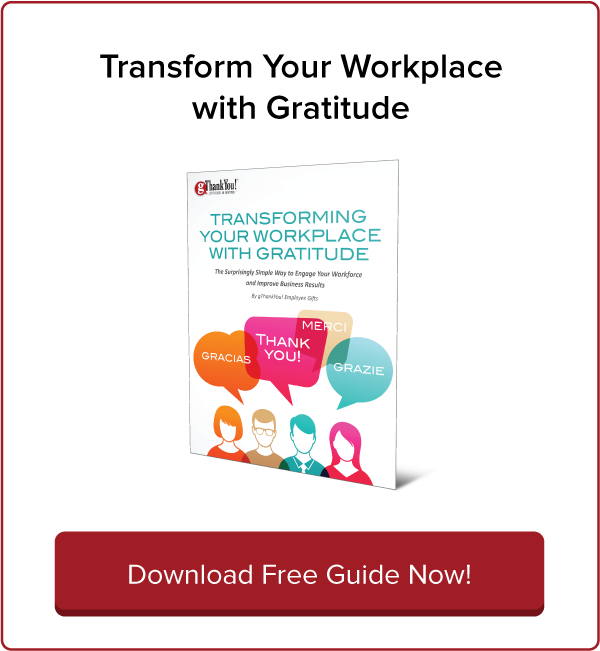 Take some time alone or with your HR team to brainstorm the reasons you’re grateful for employees. Don’t get into the logistics of which gifts, how much, or the when and where. Just focus on gratitude. Describe company success in terms of employee successes, rather than financial gains or number of repeat customers. How did an individual employee’s or team’s hard work pay off this past year? Don’t forget to include less-celebrated employees like janitors, caterers, security staff, drivers, etc. Your star manager may have rocked that client presentation, but others contributed to the experience, too — a janitor made the room look good and caterers brought in fresh, delicious snacks. An administrative assistant coordinated all the calendars. Honor their contributions, too. 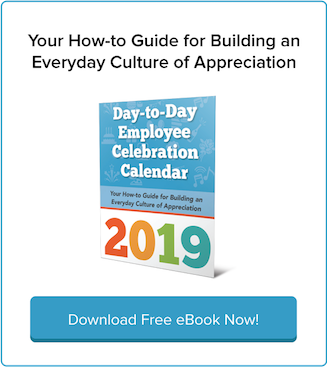 Once you’ve come up with specific examples of employee gratitude, you’re ready to communicate it! This is where a lot of last-minute gift-givers get stuck, because they think a thank-you letter has to comprehensively praise an employee’s every achievement and be written in fine-ink calligraphy and scripted by a poet. Now comes the fun part: sharing your gifts! However you choose to share your gifts — at a holiday party, in a mailing with a paycheck or individually with a handshake — remember that nothing beats authentic emotion, communicated honestly. Being openly human with employees allows for a little self-forgiveness. It’s OK to be organizing employee holiday gifts at the last minute as long as your gratitude is in the right place. “Professionalism is admirable. Professionalism — with a healthy blend of humanity — is inspiring,” Haden writes. Don’t be afraid to show your sincere appreciation. Your employees will appreciate your enthusiasm, even at the last minute. 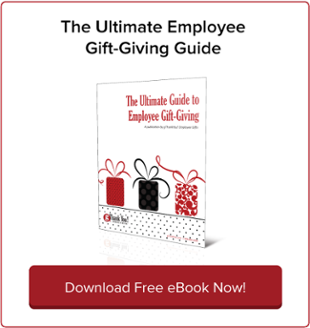 To learn more about the art of workplace gift-giving, click the image below to download our FREE Ultimate Guide to Employee Gift-Giving today!